If you caught any of my BBQ masterclasses around the UK, you know you can cook anything from whole chickens and shoulders of lamb to pizza and cheesecake on a barbecue - if you know how to control the heat. For those that didn't you can read more about the basics here. 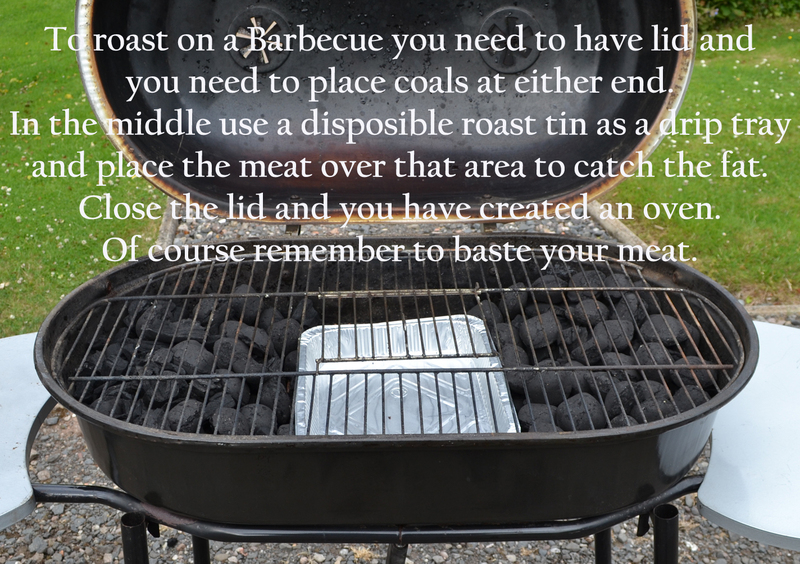 For this recipe, your BBQ needs a lid and you'll also need a disposable aluminium roasting tray. The tray needs to be placed underneath the grill bars in the middle. If your barbecue is charcoal, place the coals around the tray. If your BBQ is gas, leave the centre gas jet off and put the tray in the middle. Set up and light your barbecue as per the above instructions. Slice mushrooms into large pieces then fry together with bacon in a non-stick frying pan, until golden brown. Turn the heat down, add the butter and shallots and cook until the shallots are soft. Stir in the flour and stir occasionally until the flour has lightly browned. Transfer the mushroom mix to a non-stick saucepan, gradually add the beef stock a ladle at a time so it stays smooth. Finally add the wine, garlic and tomato puree, stirring in well, then simmer for 40-50 minutes, then keep warm. Rub on a little olive oil and then season the rib of beef with salt and pepper on both sides. Position the rib of beef over the aluminium roasting tray and close lid of the BBQ. In doing this, you're creating an oven and can cook the beef to your desired taste (I prefer my beef medium rare so the beef when pressed should still have a little spring in it). If you have a meat thermometer, cook the beef until it reads 138F/59C (which should be medium rare).When you rest the meat the temperature will rise several degrees as the meat relaxes.The rib of beef in the picture was cooked to medium which is around 145F/63C. Allow the meat to rest on a warm plate before carving. 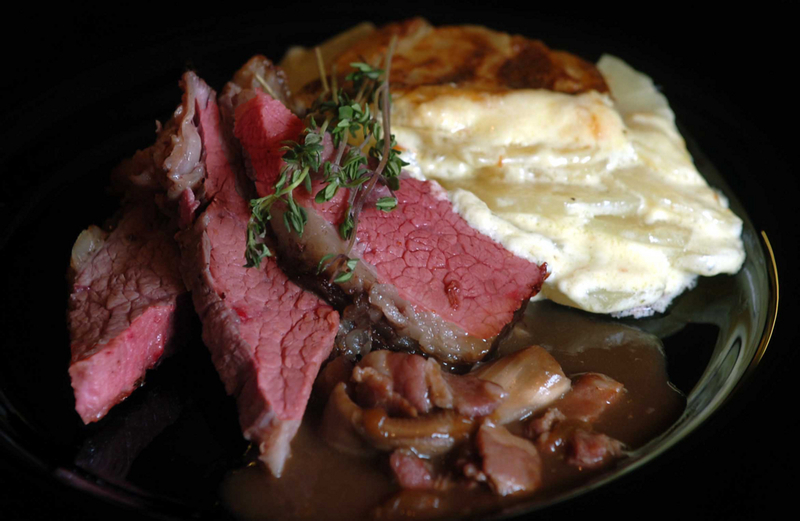 Any juices that come out of the beef should be poured into the sauce to give the sauce a wonderful beefy flavour. The purpose of the disposable aluminium roasting tray is to catch the fat running of the meat and thus avoiding flare-ups. As you can see from the photo I like to serve this dish with dauphinoise potatoes. If you want to add a little extra smokey flavour to the beef soak 1 handful of small hickory wood chips the night before in cold water. Just before you put the Rib to cook drain the wood chips and sprinkle them directly onto the charcoal.